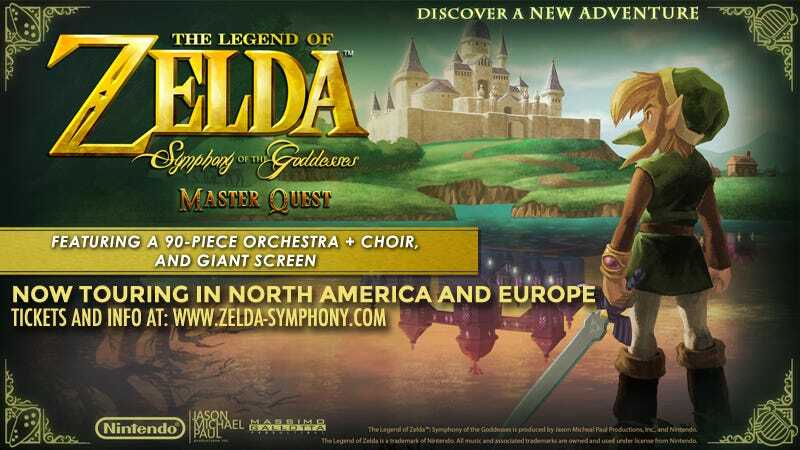 Last night’s 90-piece Zelda symphony at the Barclays Center in Brooklyn, New York drew franchise fans but also a protest in the form of a handful of members of a musicians union and a large inflatable rat. Local 802, the Associated Musicians of Greater New York, objected to the Tuesday-evening symphony using non-union players. John O’Connor, a vice president for the union, who was standing by the big rat last night told Kotaku that he believed that the group putting on the show, Massimo Gallotta Productions, was using young musicians from out of state and paying them at a lower rate without union benefits. The rat is a common sight in metropolitan areas like New York City, where unions will inflate it to draw attention to projects they say flout union standards or concerns. You’ll see it near construction sites and apparently you’ll see it outside a video game music concert being held in an arena that often hosts big concerts, NBA games and WWE pay-per-views. The concert’s promoter, Massimo Gallotta, told Kotaku he was surprised that the union protested. “It was so out of the blue,” he said, adding that the performance had been announced months ago but the union had only contacted him last week. “I’m doing the whole tour in U.S., Europe and Canada, and we didn’t have any problems so far. Just New York. The reason I didn’t get union musicians is because the Barclays Center is a non-union building; we don’t have to get union musicians.” For this show he said he used players from Boston as well as local non-union musicians from New York. A Nintendo rep did not reply to a request for comment. Gallotta said last night’s Zelda concert was a success for thousands of attendees, aside from the union protest. He hopes to bring the tour back to New York City. He wasn’t sure what the venue would be.